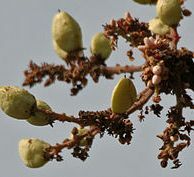 Boswellia serrata is a plant that produces Indian frankincense, Salai, referred to in Sanskrit as shallaki and in Latin as Olibanum Indicum. the plant is native to much of India and the Punjab region that extends into Pakistan. Boswellia is used in herbal form as well as homeopathic form for many types of health issues. Studies have confirmed the ability of Boswellia (Frankincense) can inhibit inflammation and allergic reactions, to alleviate from pain, and to reduce swelling. Studies have shown that Boswellia can reduce swelling and joint-stiffness in 65% of people with rheumatism. In inflammatory affections of the gastro-intestinal tract it alleviates from the symptoms commonly concomitant to colitis and Crohn’s disease. In chronic asthma it supports recovery and in brain-tumours Boswellia has been reported to inhibit the growth of tumors. Another study showed Boswellic acids to be effective in suppressing the invasion of pancreatic cancer cells. Besides being an effective anti-inflammatory, Boswellia can be an effective painkiller and may prevent the loss of cartilage. Boswellia can play a role in reducing leukotrienes, which causes bronchial muscles to contract. A study of the herb’s effect on bronchial asthma found that patient who took boswellia experienced decreased asthmatic symptoms. The herb could play an important role in treating bronchial asthma. Boswellic acids act in a number of ways that may inhibit cancer growth. Boswellic acids have been shown to prevent certain enzymes from negatively affecting DNA. Studies have also found that boswellia may fight advanced breast cancer cells, and it may limit the spread of malignant leukemia and brain tumor cells. This herb has anti-inflammatory properties and can be effective in treating inflammatory bowl diseases such as Crohn’s disease and Ulcerative colitis. Studies show that boswellia can reduce inflammation and may be useful in treatment. 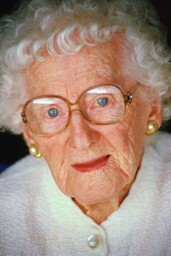 Many studies of it's effect on osteoarthritis have found that its effective in treating pain and inflammation. Boswellia can also help to reduce a joint swelling. Boswellia is thought to interfere with the auto immune process, which would make it an effective therapy for Rheumatoid Arthritis. Effective in curbing any sort of pain and swelling as it works as anti-inflammatory substance due to the presence of boswellic acid solution. Effective for arthritic problems like rheumatism, osteoarthritis, gout, skeletal muscle pain below your sink Joint Pains. Popular in the treatment for cancer as it will handle anti cancerous properties. Effective as a wound healer herb. The common dosing by a health practitioner is 1-2 capsules, two times a day after a meal. Boswellia Serrata: Is this Nature's Most Powerful Painkiller?